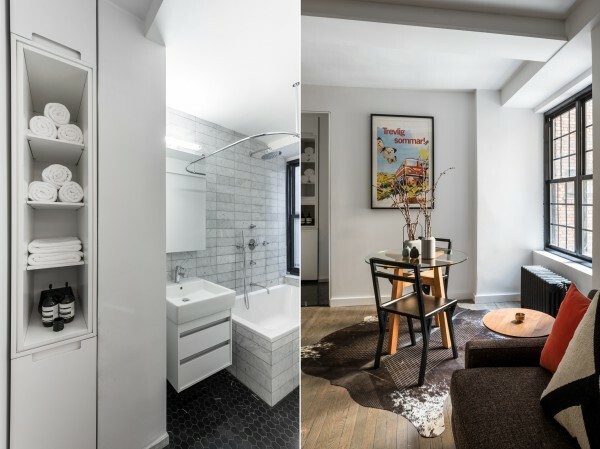 When you decide to make your home in a trendy neighborhood like Manhattan's Gramercy Park, you must accept the fact that no matter how much you can invest, you will never live with rolling hills and spacious guest rooms. Instead, the stylish and affluent of such an area learn how to make do - and do quite well - with less space. 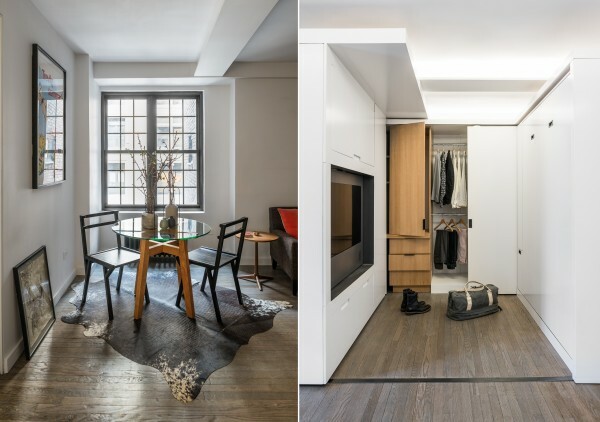 These brilliant minds managed to use moving walls, sliding doors, and creative space to turn 390 square feet (36 square meters) into a spectacular home. The largest and most notable element of the apartment is the massive sliding wall that contains a televisions and audio equipment. When nestled to one side, it leaves plenty of room for working and relaxing on a full sized sofa. However, when the owners pull the wall out on its tracks, it reveals a Queen sized bed as well as closets and a dressing area. Because of the custom design, the team was able to consider every detail, including electricity, when creating this space saving wall. The television is not just wired into the wall, it also swivels 180 degrees, which means it can be watched from either the sofa or the bed. Further, there are plugs for an alarm clock and lamp in a side table that is integrated with the bed’s headboard. 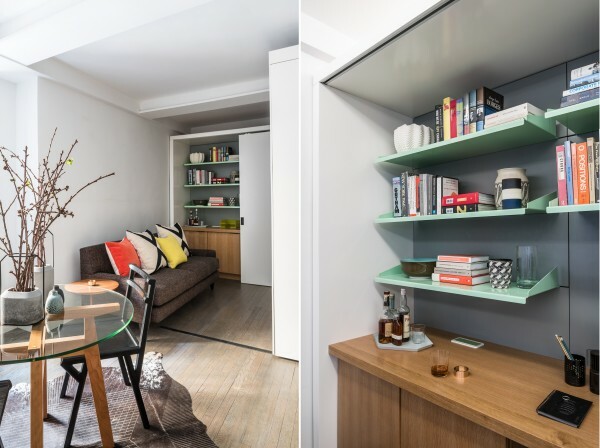 The working area for the home is perhaps not as spacious as some home offices, but the sliding cabinetry means that it is easy to hide away when work is not on your mind. 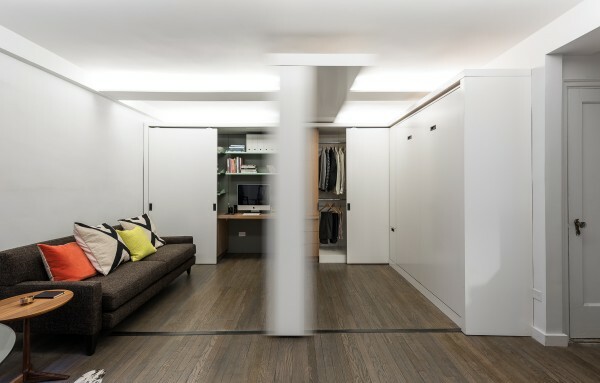 The same is true of the closet and dressing space, which can be accessed with the bed in either of its positions.